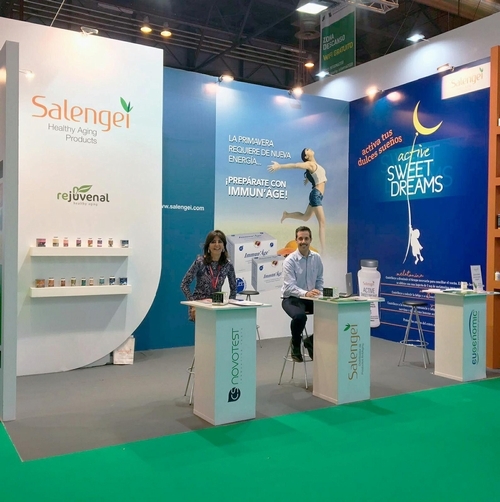 Immun'Âge was exhibited in the 30th "Infarma", a European Pharmacy Meeting, held on 13th, 14th and 15th of March at "Felia de Madrid" in Madrid, Spain. "Infarma" is consisting of the European Congress of Community Pharmacy and the Over the Counter Medicines and Parapharmacy Exhibition. Visitors are limited to pharmacists and professionals, but more than 30,000 people participate in this event every year to exchange professional experiences, share knowledge and ideas about the day-to-day work, discuss the new challenges for pharmacists and, above all, know the latest news affecting professional practice.